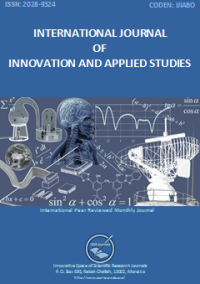 International Journal of Innovation and Applied Studies (IJIAS) welcomes author submission of original and significant contributions concerning any branch of Innovation and Scientific Research. Contributions should not have been previously published nor be currently under consideration for publication elsewhere. All research articles, review articles, short communications and technical notes are pre-reviewed by the editor, and if appropriate, sent for blind peer review. The editor asks the opinion of three referees who are experts in the relevant field of research. There are three referees for each submitted paper, and a minimum of two reviews related to subject is required.